Are you looking for the fast track to healthy, glowing skin? Are you interested in an instant pick-me-up to remove sun spots and fade broken capillaries? There are loads of choices that you have to improve skin at our med spa and one of the most popular options is with Intense Pulsed Light (IPL) with products. There are several options that you can do combining IPL with products. IPL first. This is the super fastest track to removing sun spots and broken capillaries. 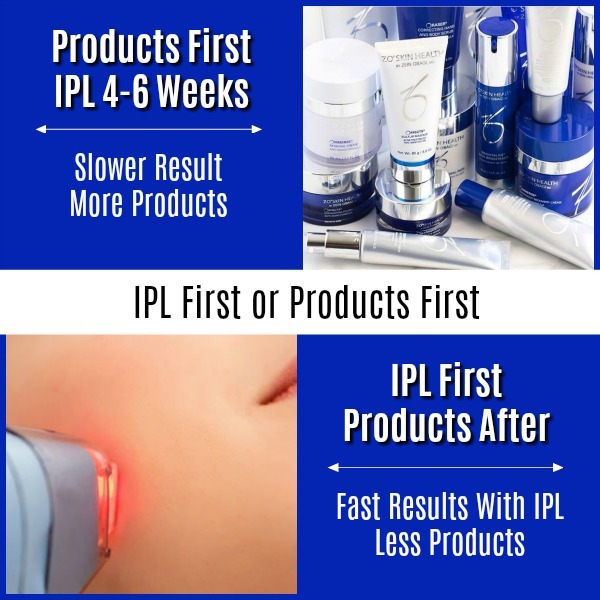 Our clients love IPL and it is ranked one of their all time favorites. One week after treatment the sun spots are lifted to the surface of the skin and start to fall off without any flaking or peeling of the skin. Broken capillaries after IPL will start to fade and your complexion will be much better. It is like taking your skin through a car wash and wax. After IPL, since your excess pigmentation is so much better, our team can use less pigment removing products and focus on anti-aging and protection. Products first. This is another great option and there are products that help improve pigmentation immensely as well as reduce the appearance of pores, control acne and more. In addition, core product lines like ZO Skin Health are designed to get your skin healthy from within and transform it. After your skin is prepped and you see results with these products in as little as 4 weeks, we can add IPL to enhance the product results. Sometimes, IPL cannot be done first for certain skin conditions. 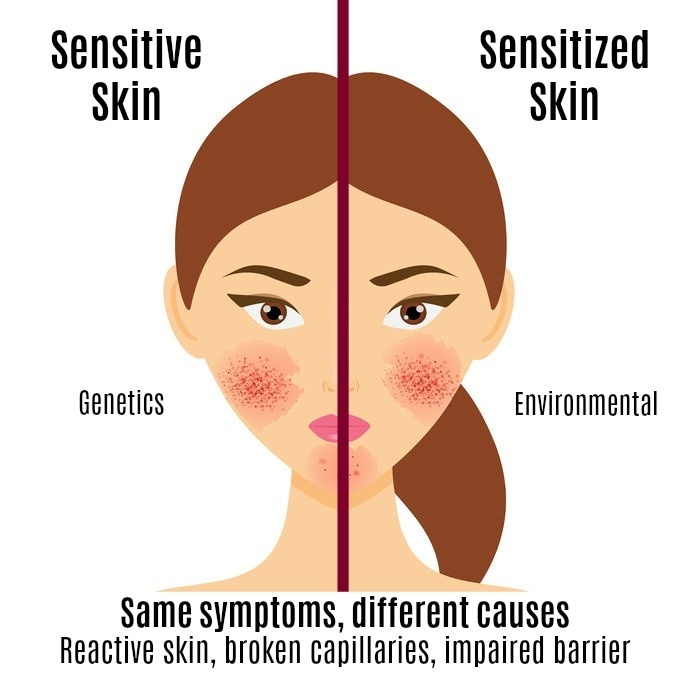 In addition, sometimes IPL is prohibited like with certain skin conditions including melasma cases. Our med spa has products that can help with all sorts of skin conditions like melasma, acne, rosecea and more. What is important is NOT to add any technology first until we know certain skin conditions. We like to call this dating your skin for a while. We can assess how compliant your skin is or see if your skin can be a brat. Then after we wine and dine your skin, we can add IPL or a chemical peel with confidence. What you need to know is that your skin is in great hands with our providers who have decades of experience providing lasers and skin care as well as other medical spa services like Botox and fillers. We will only do what is in your best interest in the time frame that it should be done in. It’s complicated so let us handle it and sit back and relax. If you are looking for a med spa near you that has all the resources you are looking for including a complete laser and skin care center, Botox and fillers, microneedling, microdermabrasions and more, call us today to learn more. Check out our five star med spa reviews and gallery of before and after results for IPL, skin care, Botox, fillers and more.